Alternative Dispute Resolution is quickly becoming a premier option for individuals, corporations, and government entities who are in need of a vehicle to resolve conflict. Our intensive four-day mediation training will equip you with the skills necessary to effectively assist parties with conflict resolution through well- established mediation techniques. Our 28-Hour Mediation Training has been approved by the Georgia Office of Dispute Resolution. Parties looking to become Registered Neutrals in the State of Georgia must complete a training course offered by one of the approved trainers before being considered. 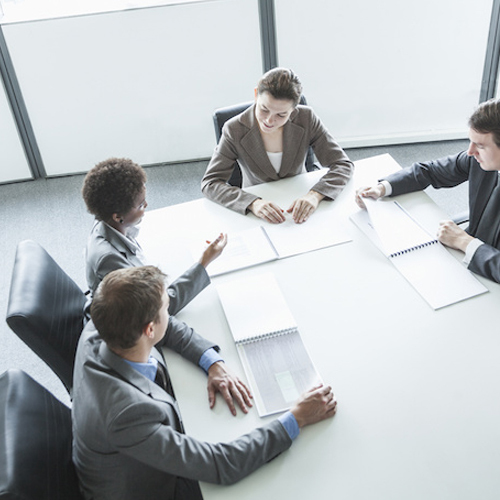 Our mediation training teaches communication skills, effective conflict resolution, and appropriate mediation techniques according to the standards and guidelines required by the Georgia Office of Dispute Resolution. Note: The fact that a training program has been approved by the Georgia Office of Dispute Resolution does not imply that any particular court-annexed or court referred program must or will accept as neutrals those who have completed that program. Each local court program is expected to exercise its discretion with reference to the qualifications of each neutral and may inquire into the training received by such neutral. Completion of a state-approved program does not automatically qualify one as a neutral in any particular local program.